Yay for warm cozy sweater! I wear this sweater all. the. time. It’s a wonderful warm winter basic. But because it’s a pretty simple cream sweater I don’t feature it on the blog nearly as much as I wear it in real life. Definitely a winter staple. Love this! 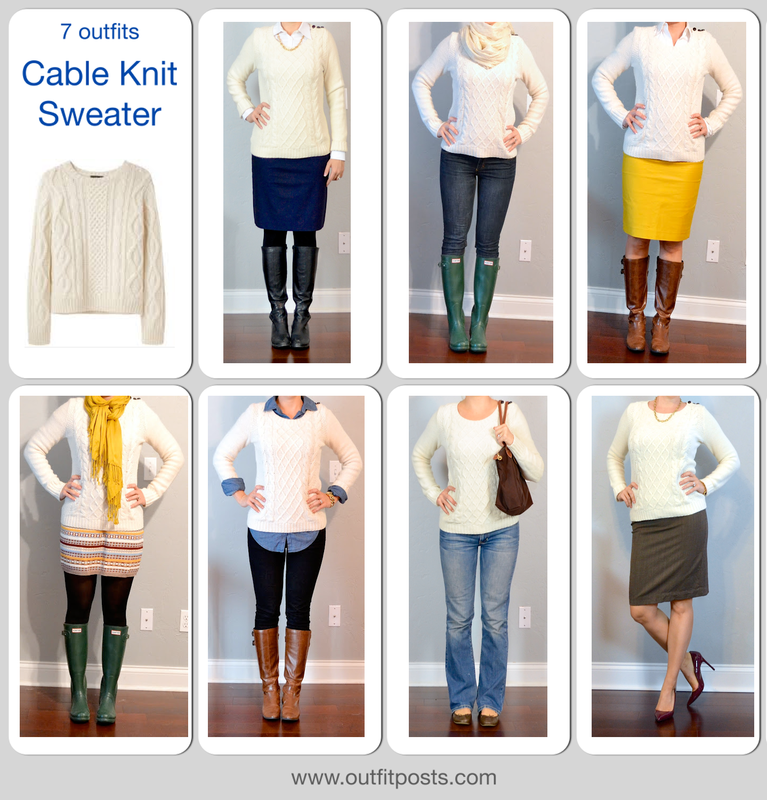 I just bought a cream color cableknit sweater for Thanksgiving and now I have a bunch of more ways to wear it. Thanks! Thank you. I really like making them. It's fun to see all the outfits I forget about in one place!